WHO KNEW A COUNTRY COULD BE SO TESTING, YET SO INCREDIBLE AT THE SAME TIME. We crossed from Nepal at the Sonauli border crossing. We then cycled to Gorakhpur train station and caught a 30 hour direct train to Ahmedabad, Gujarat. This train only runs once a week, so we were lucky. From here we started the Indian leg of our trip. 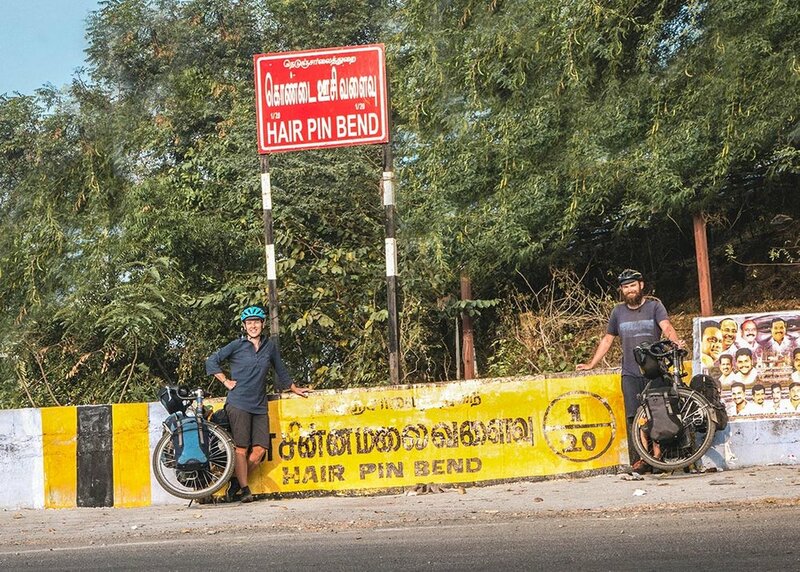 We spent 1 month cycling around the state of Gujarat before heading down the coast to Mangaluru. From there we headed inland to Ooty, then onto Pondicherry and finally Chennai. From Chennai we caught a train to Mumbai to fly out. Uttar Pradesh: We only spent one day here. We caught the train from Gorakpur to Ahmedabad, Gujarat. Gujarat: Chapatis. Quiet roads. Dry state. Super cheap. Lots to see. Everyone wants a selfie. Maharashtra: Naan bread. Quiet coastline. Expensive beer. People overcharged. No one wants a selfie here. Goa: Pizza. Burgers. Seafood. Beach bars. Cheap beer. Very touristy. It’s not real India. Karnataka: Paratha. Cheap food. Green. Nature reserves. Wild animals warnings. Kerala: Paratha. Omelettes. Nature reserves. Hill stations. Humid. Tamil Nadu: Paratha. Hilly. Hill stations. Aggressive dogs. Wonderful farming villages. Cheese. Beaches. November / December / January. Hot and dry. It got hotter and more humid the further south we went. Above 1000 m it was chilly. We went to 2,300 m and it was very cold. We wore jumpers and down jackets and slept in our sleeping bags. Mahabat Maqbara (mausoleum) in Junagadh, Gujarat. Cycling the coastal stretch in Maharashtra, from Rewas to Jaigad. We caught 5 car ferries while doing this, costing £2.85. 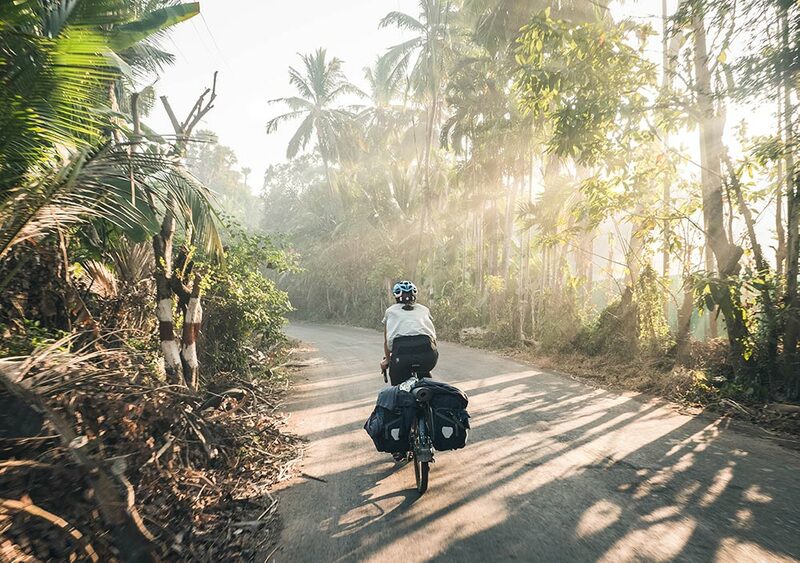 Cycling through Coorg District in Karnataka, which is famous for coffee plantations. The 1,000+ m climb to Ooty. The 1,000+ m climb to Yercaud. We cooked the odd bowl of Raman noodles, but otherwise always ate out, as restaurants were super cheap, particularly in rural parts. In a rural village in Karnataka, for example, we got 2 veg curries, 1 side of pickled greens, 6 paratha and 1 chai tea for £0.56. Bar the odd cold bottle, we filtered all of our water. In the beginning we were using our MSR Trail pump, before switching to a Platypus Gravity Works filter, as we were filtering so much. This made life so much easier. We brewed our own. 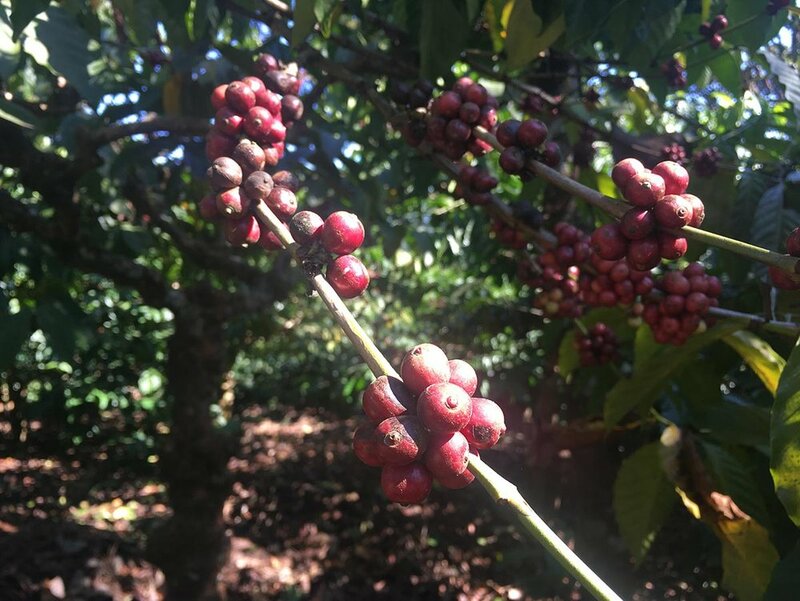 You won’t find ground coffee in your typical supermarket/shop. We bought it from Coffee Cafe Day or large supermarkets in big cities. We always bought several bags at a time. If you happen to go through the district of Coorg in Karnataka, where they grow coffee, you can buy local stuff, which is pretty decent. We used petrol. A litre was anywhere from £0.40-£0.70 and lasted a couple of weeks. This was our biggest pain in the arse throughout the whole of India. Hotels either didn’t exist, didn’t except foreigners, weren’t actually hotels (restaurant, apartment, corporate accommodation), or required us to be married. Also don’t assume that by Googling ‘hotel’ the results will be an actual hotel… The word ‘hotel’ is a colloquial term for restaurant. We only camped once in India and it was in the garden of a hotel. They wanted £16 for a room, but we offered £3 to stay in our tent. We would have loved to have camped more, but we just read horror stories from other cyclists. And hotels were cheap. We are true believers in you get out what you put into a route. 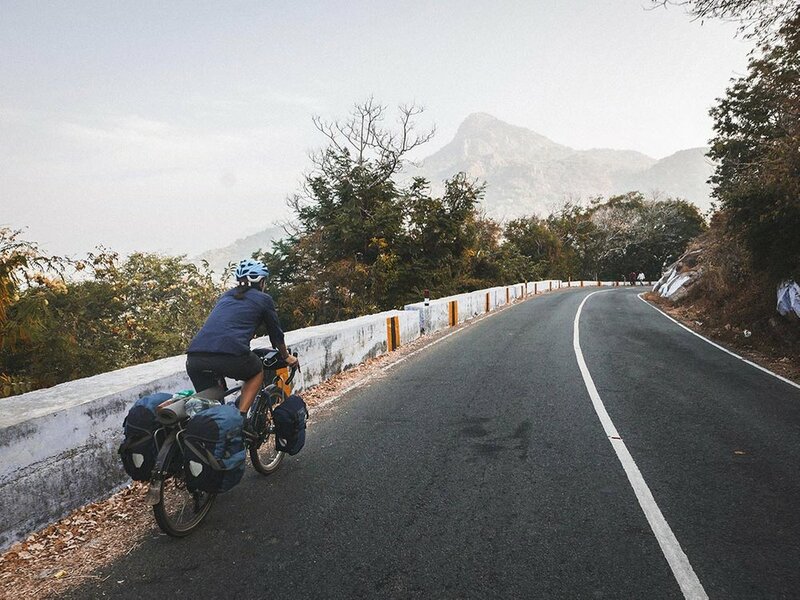 We put so much effort into avoiding main roads and highways and found that most of our cycling in India was actually really enjoyable. We were either on minor or single-track roads. We did find ourselves stuck on Highway 66 and hated it, so we just caught a train to the next town, where we could exit onto a smaller road. Mental. They are dangerous, impatient and seem to lack any sort of road sense. We seriously don’t know how more people aren’t hurt on Indian roads. Avventure Bikes (Valsad, Gujarat) – Lovely guy who is very passionate about bikes and cycling. He helped us with a Shimano 105 shifter problem. We also bought some Muc Off Chain Cleaner there. Pro-Bikers (Chennai, Tamil Nadu) – These guys were awesome. They were able to order all new Shimano and Schwalbe parts for us and kindly gave us a complimentary full service. They also work with dynamos, which we wished we’d have known earlier, since ours broke months ago and other bike shops haven’t known anything about them. Just to note, this bike shop is 15 km outside of Chennai centre, but Ubers are cheap. Private buses (red buses) – These can be booked at travel agencies. The bikes were stored in the luggage hold at the rear of the bus and all of our panniers fit in the double bedroom on the bus. Being a sleeper bus, we had a whole compartment to ourselves. Interstate trains – We took two interstate trains. The first from Gorakhpur to Ahmedebad and the second from Chennai to Mumbai. Getting the bikes onboard the first train was a nightmare. We had to jump through so many hoops, made even more difficult by the fact we were getting our train tickets via the wait list. Getting the bikes onboard the second train was considerably easier, I guess because we already had our train tickets. Essentially you need to book you bikes as cargo on the trains (they don’t have to be boxed). Arrive in plenty of time to fill out the necessary forms and pay the nominal fee. We waited with the bikes and watched them being loaded, more for peace-of-mind than anything else. When you arrive at your destination, dash to the cargo hold where someone will meet you to check your paperwork and hand over your bikes. Local trains – Taking the bikes on a local train was much easier, although one station did tell us it was not allowed and we had to cycle on. We literally just booked our ticket and wheeled them into the cargo hold. We sat with them for the whole journey, which seemed like a good idea at the time, but with only parcel shelves to sit on, we had numb bums and full bladders by the end. As you would expect, it’s not straight forward. To cut a long story short, we got a 6 month, multiple entry visa for £125 each. The long story? We got the visa at the Indian Visa Centre in Kathmandu, Nepal. The visa is valid from the date of issue. No matter what visa you get, you can only stay in India for 180 days at a time, but the validity can be up to 12 months. We needed a 12 month visa as we had planned to meet family there, which happened to be in over 6 months’ time. You’re not guaranteed any particular duration; you get what you’re given. Most people are issued 6 months, but some get 12 and some only 1. Annoyingly we got 6 months, which totally messed up our plans. Hand in your application and pay the fee in cash (Nepali rupees). You can phone the visa centre after 5-7 days to check what duration you have been issued. You can then time your second visit, so that your visa duration meets your travels needs. We waited 2 months to go back for our second visit. We just killed time on Everest Base Camp and Annapurna; it wasn’t so bad. Hand in your passport. Your visa will start from this date. Collect your passport with visa inside. We thought we’d landed an amazing deal, but we got ripped off. We got an 84 day Vodafone SIM card with 1.4GB of data per day for £16. It should have been £6.20. To get a SIM card, we popped to a Vodafone dealer and the guy had to recruit two locals to sign up for us, as foreigners can’t do it for some reason. We filled out some forms and waited around for the SIMs to activate. The whole process took around 40 minutes. Don’t forget your passport. I will say that Vodafone signal wasn’t great in rural parts; that’s where we always saw ads for Airtel. We posted an 11 kg parcel to New Zealand with India Post for £52. We opted for the Surface Airlifted service, which was the slowest and cheapest option. It was meant to take a couple of months, yet it arrived within 10 days. Go figure. The first post office we visited in Ahmedabad, Gujarat requested that we got the boxed sewn up with fabric. We ended up going to the main post office instead and it wasn’t a requirement there. Annoyingly we tried to post 4 kg using the same service in Mumbai and were told it was going to be £31, which didn’t quite add up, so we didn’t send it. Goibibo – Great for booking accommodation. Make My Trip – Also great for booking accommodation, but seem to have more hidden charges. 12 Go Asia – Useful for checking and booking trains, although we found most were sold out. We only booked one train through this website, the other train we booked directly at the train station. Uber – Worked a treat in Chennai and Mumbai (and presumably other main cities) and it’s super cheap. We used Uber XL to transport the packed bike boxes. Avoid cycling on highways for your own sanity and safety. There’s usually an alternative quiet road, it may just take longer. Things will go wrong, the trick is to not get stressed about it. Don’t be that foreigner who snaps and gives travellers a bad name. You can politely decline a selfie. Only once did someone ignore Dan’s ‘no’ and still take a picture with him. Always carry snacks, as food availability changes drastically from the different towns and villages. Petrol stations always have a toilet and often filtered water – or at least water to filter. Thalis are a cheap and delicious way to fill up. Gujarati thali was the best of all we tried. Dress conservatively. Nothing too short or revealing, that way you’ll avoid any unwanted attention. That being said, I cycled in baggy cycle shorts and felt fine. I did wear leggings under my shorts in Gujarat, as that particular state felt a little more conservative. Stock up on tampons and decent pads in the main city supermarkets. You won’t find much in the villages. Actually, if possible, I’d switch to a Mooncup for ease and comfort. Don’t worry! I had read so many horror stories of women’s experiences travelling around India, particularly by bike in rural parts. But I never experienced any unwanted attention and was never ignored because I was a woman.